Due to flooding in Benton County, the Red Cross took over the planned site for the Oregon Jr Closed tournament, forcing organizers to find a new site at the last minute. Zion Lutheran School in Corvallis is providing quiet, comfortable rooms for both playing and skittles. Rounds 2 and 3 were lively affairs, with six hard-fought decisive games. The final two rounds will be Sunday, Jan 22 at Zion Lutheran School. Each year Oregon’s official USCF State affiliate club, the Oregon Chess Federation (not to be confused with the Oregon Scholastic Chess Federation), hosts an Oregon Jr. Closed Championship, which is a round robin invitational featuring the top six available juniors* in the state. The winner is declared the Jr Champion and gets his/her name engraved on a perpetual trophy that is passed down from winner to winner each year. In addition, if the winner is rated above 1900 on the January USCF ratings list and the event was completed before December 1, the winner earns an invitation to the Oregon Championship. This year OCF was unable to organize the event and deferred to OSCF’s Andrei Botez and Dan Dalthorp to host the event in January. Alexandra moved to Oregon in 2009 and immediately made an impact on the scholastic chess scene, winning the top section at All-Stars and becoming Oregon’s top-rated female player, an honor she has held ever since. The following year, she won All-Stars again and tied for first in the high school elite section at the 2010 OSCF state championships in Seaside. 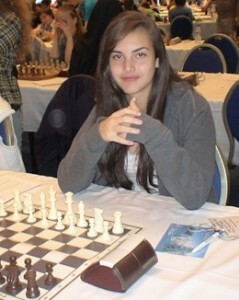 But her chess successes extend well beyond Oregon. In 2011, she won the title for USA All Girls National Champion, and won a scholarship worth over $100,000 to UTD by winning the 2011 Susan Polgar National Open Girls Championship. Calvin began his chess tournament career with a first place finish in the novice section at PE+ in Corvallis in December 2007. 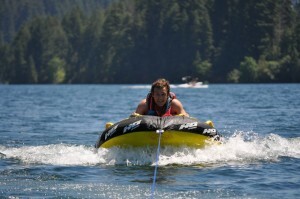 Almost overnight he entered the ranks of the top Oregon scholastic players. In addition to his obvious talent in “regular” chess, he has dominated a unique chess/running event. The tournament begins with a one mile run by all players and is followed by a chess tournament. In each chess game, a player gets the amount of time on his/her clock that his/her opponent took to run the mile. If your opponent ran a mile in five minutes, too bad! 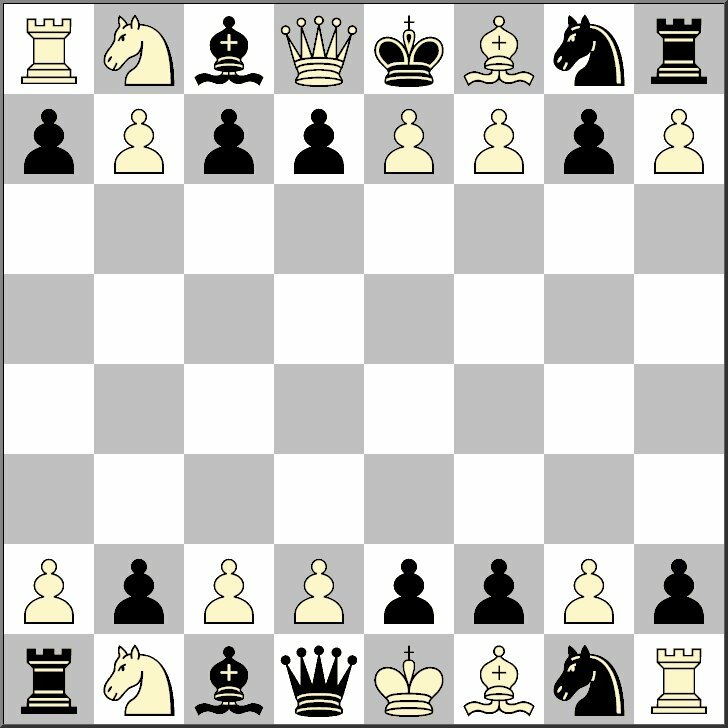 You have only five minutes to play your chess game. Calvin won first place in this event in 2009, 2010, and 2011. 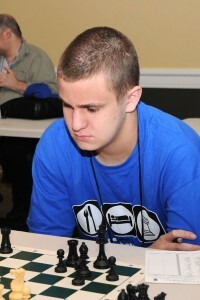 Calvin is home-schooled and especially enjoys studying chess history and theory. He also plays football and basketball and is interested in guitar-based rock and blues. Max always seems to be at or near the top of the standings in every tournament he enters. For example, after winning the OSCF State Championship for grades K-1 in 2007, he went on to win four more State Championship titles in the next four years (K-1 in 2007, Primary School in 2008, Elementary School in 2009, 2010, and 2011). 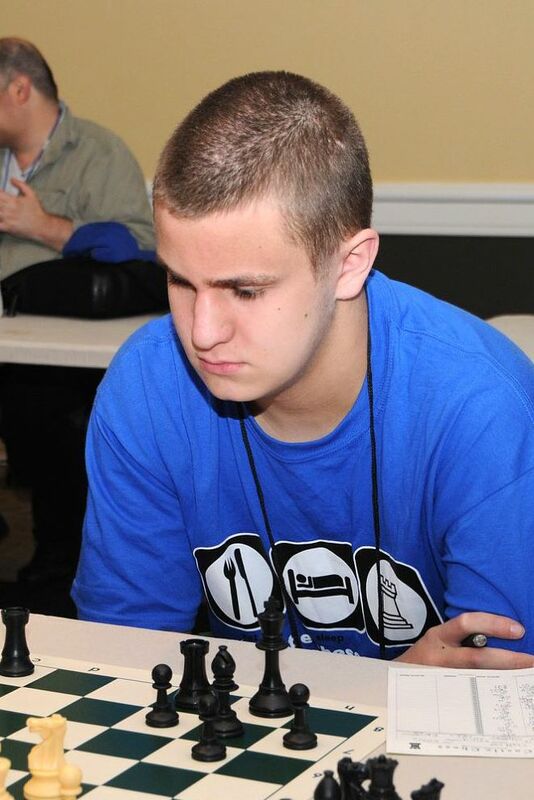 He’s been playing his best chess recently, finishing second only to Nick Raptis (2288) and tied with the state’s #1 rated player, Steven Breckenridge (2334) at both the Gresham Open on Jan. 7-8 and the Corvallis MLK tournament on Jan 16. He’s just a sixth grader this year and the only player in the group who is not in high school, but Max has proven that he belongs among the very best scholastic players in the state. Steven played his first rated tournament only a few years ago, but already he is firmly established among the elite scholastic players in the state. 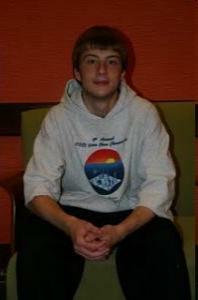 He earned an initial provisional rating of 830 in March 2008, but by March 2009 his rating surpassed 1600 — a pickup of nearly 800 points, an astounding achievement. By contrast, each year at the OSCF state championship, we honor all the players who improved their rating by 200 points during the previous year, and the list tends to be very short. Steven’s initial impact was even great than that of America’s strongest current player and at one point was the youngest American ever to earn the title of international Grand Master, Hikaru Nakamura–Hikaru only picked up 600 points in his first year. Like Max, Steven has been playing very strong chess lately. David moved to Corvallis from Ohio in summer 2010. Immediately he made his presence known by becoming Oregon’s top-rated middle schooler and performing very well at tournament after tournament. He was the OSCF Middle School Co-Champion in 2011 and represented Oregon in the 1st Annual Barber Tournament of K-8 Champions in Orlando, Florida. Matt has been steadily and consistently improving since he began tournament play in December 2006. He plays very creative, energetic chess and is fully capable of beating a Master in a wild attacking game (e.g., at the Gresham Open this year), or accumulating small advantages and grinding out a win in an endgame. Recently, he has been enjoying playing blindfold simuls against three players at the same time. Matt enjoys playing chess and has a passion for performing music (piano and violin) and composing music. Snow fell over much of the state on Sunday night and Monday morning. The roads in Corvallis were completely iced over an hour before check-in for the 2012 Corvallis MLK chess tournament. Even so, players from as far as Seattle, Medford, Cottage Grove, Salem, all parts of Portland, Blodgett, Pleasant Hill, Eugene, etc. converged on Corvallis in record numbers for great chess. Play was divided into eight sections. The top section was open to all (including adults) and players competed for sizable cash prizes ($150-90-60 for 1st-3rd and $50 for top U1700). The other seven sections were for K-12 players only and were defined by rating and age. Players competed for performance trophies (top four in each section), as well as trophies for Best Notation, Good Sportsmanship, and Best Handshake. The Power Section was open to all, including adults. The top two active players in the state, Steve Breckenridge (2335) and Nick Raptis (2278) were joined by FIDE Master Corey Russell (2200), chess Expert Rob Fisette (2001), six players rated between 1800 and 2000, and fifteen others to play five rounds at G/45. Nick Raptis ended up winning with an undefeated 4.5/5. The big scholastic stories of the day were the performances of Max Sun (1824, 6th grade, Corvallis) and Yogi Saputra (1424, 9th grade, Albany). Aside from his heartbreaking loss against Steve Breckenridge in the second round, Max won every single game he played to tie for second with Oregon’s highest-rated player and finish ahead of a FIDE Master Russell and an chess Expert Fisette. A half point behind Max at 3.5/5 was Yogi Saputra. Yogi hadn’t played in a tournament in nearly a year and a half before playing at the Albany Open in December. In Albany he won clear first in the U1800 section, scoring 4.5/5. He picked up over 200 ratings points in the process and demonstrated that U1800 sections may be starting to be too easy for him. At Corvallis MLK he was eligible to play in the Mighty Rook Section (U1500) but chose to play up and test his mettle in the Power Section. He ended up tying with FIDE Master Russell, taking home the U1700 prize, and picking up another 200 ratings points to weigh in at 1620 with his first established USCF rating. The Mighty Rook Section (1000-1499) was split into two smaller sections, primarily by age. In the Mighty Rook A section, Henry Lancaster (10th grade, Cottage Grove) won with a convincing 4/4. 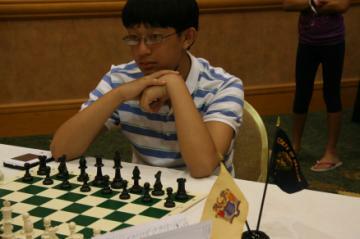 Henry played his first USCF-rated tournament last spring and got an initial provisional rating of 684. In three tournaments since November, he has boosted that number by over 500 points to 1197 by playing remarkably solid chess. Keep an eye on future All-Stars lists and the tops of tournament cross tables, and you’ll be sure to see this young man’s name again and again. In the Mighty Rook B section, John Ornes (6th grade, Corvallis) won with an undefeated 3.5/4. John plays creative, interesting chess and has a great feel for the position. John picked up 300 points at the Elementary school nationals last spring, and it seems like he is on the verge of another breakthrough with great wins against much higher-rated players in Albany in December and in Eugene last weekend, and a solid performance in Corvallis on Monday. The Good Knight Section (700-999) was split into two smaller sections (mostly by rating). 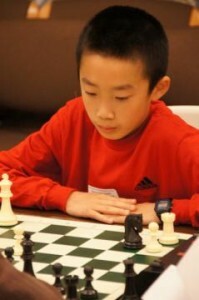 Of the 19 players in the Good Knight A section, the youngest of them all–third grader Kevin Dai (Corvallis)–won with a perfect 5/5. Good Knight B section was also won by a third-grader, Jack Woo McClain (Eugene), with a perfect 5/5. The High-Energy Section (U700) was split into three smaller sections (primarily by age). The twenty Players in the High-Energy A section ranged in age from 4th through 10th grade. There was a four-way tie for first between Mark Dalthorp (7th grade, Corvallis), Hunter Dietz (5th grade, Tigard), Christopher Cebra (5th grade, Corvallis), and Trevor Wehner (5th grade, Corvallis). They played a blitz mini-tournament to break the tie and finished in the order listed above. An army of energetic and efficient volunteers made the day flow incredibly smoothly and pleasantly. Concessions: Barb Berg and Donna Stream served hot dogs, pizza, chips, candy, fruit, soft drinks, coffee, donuts, etc. Based on turnout in prior years, they were planning for 100 players. When over 130 showed up, they handled the rush with grace and class. Check-in: Amy Roy, Jennifer Thibert, Agatha Roberts, and Leanne Schuetze. You were a great team. Thank-you! Trophy Prep: Diana Strand unpacked the trophies, carefully checked the inventory, added stickers to medals and 2nd place trophies, added engraving plates various “stray” trophies that needed to be inserted precisely into the trophy lineup, and arranged everything in a clear, logical, and attractive order–not a simple task with 82 trophies and 30 medals. Thanks, Diana! Coaches: A large tournament like this cannot be run without the huge contributions from chess coaches. At the top of the list are Erin Kooyman (bringing 15 kids from Ashbrook AND serving as floor judge), Jeff Risher (bringing 12 kids all the way from Tigard AND serving as a floor judge), and Bing Sun (bringing 12 kids AND serving as floor judge and blitz coordinator). Zane Kesey (Pleasant Hill) and Michael Myers (Eugene) each brought a car load of high school players–not an easy task, but greatly appreciated. Forest Tomlinson brought around a half dozen players from Pleasant Hill. And, as always, Forest’s kids were disproportionately represented among the winners of Good Sportsmanship awards. Thank-you! Parents: Huge thanks to parents. Sometimes chess tournaments seem to go on forever, but it is a wonderful activity for the kids, and your support is absolutely critical. Setup: Alex Mueller-Warrant and Matt Dalthorp helped set up tables and playing rooms on Sunday night. Some of those tables are obnoxiously heavy and needed to be carried all the way from the back of the gym, into the school, and all the way down to the end of the hall. (Was it 17 tables that had to be moved great distances?) Thank-you! A number of people helped set up tables and chairs in the skittles room and others (Max Booth et al.) 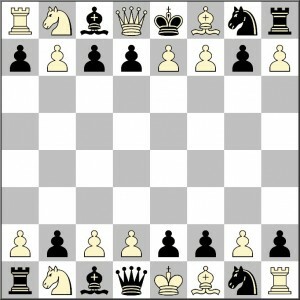 put pieces on chess boards in the playing rooms and board numbers next to the boards (Lisa Still, Steve Cousineau, et al.). Thank-you! Clean-up: One minute, I looked at the tables and chairs scattered all over the skittles room near the end of tournament. I blinked, and the tables and chairs were all put away. Someone did an awful lot of work in a hurry. Dave Neiman and others helped put away chess pieces and boards. After the tournament was over, Matt Dalthorp stayed for several hours helping move tables and clean up in exchange for a late-night trip to Qdoba (fortunately, he got to sleep in because school was on two-hour delay due to weather). Muchas Gracias! Full results for the Power Section and the Mighty Rook Sections can be found at USCF. Results for all sections are posted at NWSRS. Metzger Winter Classic Kick Starts the New Year! For most scholastic players in the Portland area the Winter Classic is the starting line for the Road To Seaside. 135 players came from all over to play in this annual event. Trophies were given out to the top two teams in each section and the top four individuals in each section. Medals were given to 5th, 6th and sportsmanship in each section. Daniel Fan was the player that received the most praise rising up to play in the Open 1200+ section to even out the Kings at 10 players. The top cash prize in the Kings Open went to Clemen Deng with a perfect score, edging out Dimitri Murphy and younger brother Leo who place 3rd. This added up to a total of 83 awards for this OSCF State Championship Qualifier! With the addition of the team trophies the other new attraction to this year’s tournament was a competitive and fun All Girls Section-The Queens. Thank you to all the volunteers that helped make the Metzger Winter Classic an enjoyable experience for all! The new All-Stars list is published. Rankings are based on the highest established ratings attained during the September through December trimester. To be eligible for the list, players must have played at least one NWSRS or USCF rated game during the trimester and be an Oregon-based K-12 student in good standing.